I’ll commit something of classic cinema heresy and say that I’ve never been a huge John Ford fan. I love a few of his films, but during my teenage years, when I was blasting through the classics like there was a presidential edict to eradicate all films prior to the 1980s, I saw just as many that I thought were OK. And even The Grapes of Wrath in some ways still brings back these mixed feelings. The difference here is that the emotional punch of the family’s struggles is hard and undeniable. Parts may feel too sentimental or sappy, but it’s surprisingly reserved for a film of its vintage. When the family’s story moves from bad to worse, it does so with a realistic, resigned attitude instead of the melancholy melodrama you might expect. The cinematography (by the wonderful and talented Gregg Toland) is absolutely phenomenal, bringing more than just beautiful imagery to the screen. Toland evokes real emotion with the camera, exposing the sadness and struggle of the Joad family through the landscape surrounding them. Singing the praises of Toland is something that every writer on classic film has probably done more than their fair share of, but his contribution to the films he has worked on is undeniable. The next year he would work with Orson Welles on Citizen Kane, one of the most photographically advanced and revolutionary films in the history of cinema. The Grapes of Wrath also got me thinking about how different life was just 74 years ago. I often think about this kind of thing, but I rarely have such detailed imagery playing before me when I do. The kids in the film would be somewhere in their 80s today, and to think that they went from growing up in situations like this, to seeing the release of a computer that you wear like a watch is an astounding amount of change to occur over one lifetime. Has it always been this way? Technology has always advanced with time, but the gap feels greater than ever to me. This kind of thinking also hits me especially hard in the brain, as my only living grandfather was born in 1921 in North Dakota, and he left town by himself in 1939 when he was 18 years old. 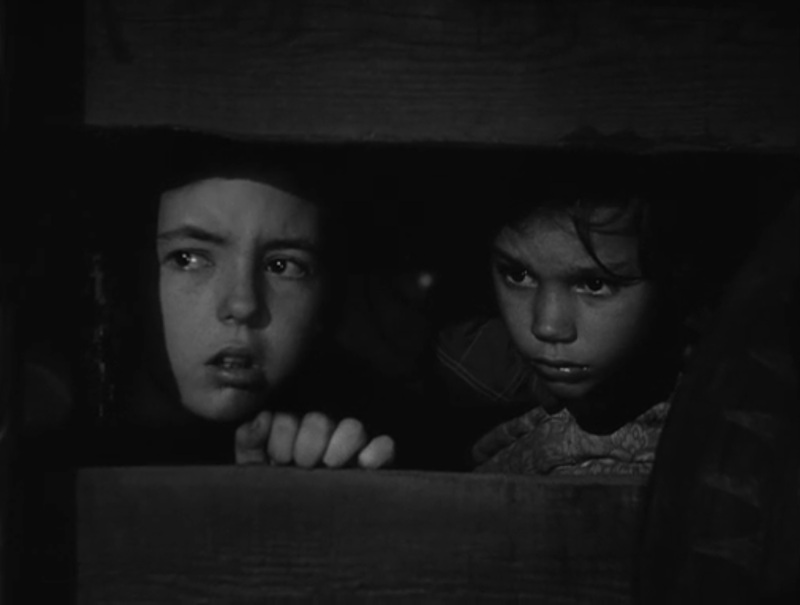 I’m aware that The Grapes of Wrath is a movie, but after watching it I do feel like I have a little better understanding of what the world was like when he ventured across the US to California. 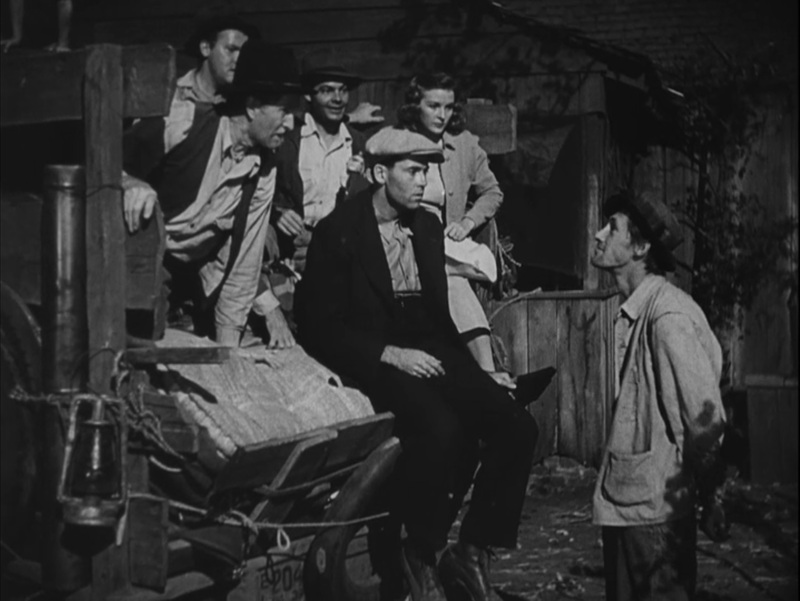 One other thing I wanted to mention: while watching I found myself incredibly surprised that no one has attempted to remake The Grapes of Wrath. Not that it’s necessary, of course, Ford’s film is still powerful and surprisingly relevant to the struggles of the underclass. It just feels like the kind of thing someone would want to take a crack at, potentially trying to win a few Oscars along the way. After the film I did some searching, and I was not surprised to see that in 2013 Steven Spielberg announced that he would be directing a remake of the film. Not that I care to see a remake of this, but here’s hoping that Spielberg doesn’t dial up the sap and the sentimentality. Yeah… good luck with that. The Grapes of Wrath is part of my 2014 Blind Spot Series where I see one movie a month that I feel I should’ve seen a long time ago. It’s all the brainchild of Ryan McNeil over at The Matinee, one of the web’s premiere film blogs. Head over there tomorrow where he’ll have a post of his own for the series, as well as links to all the other people taking part in the series. And feel free to participate on your own blog as well! Next month: Night of the Creeps!